I am pleased that in its votes this week the Commons has provided that answer. In two weeks a defeat of the core proposition for leaving by 230 votes has evolved into a series of clear majorities on the way forward. The Commons voted against delaying the process, I feel rightly reflecting the mood of the country to end uncertainty and resolve our future relationship. The Commons voted in favour of securing an exit based on a deal. 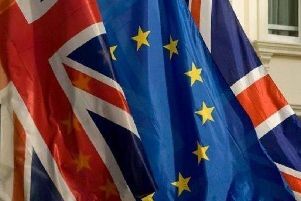 It also voted in favour of the draft withdrawal agreement negotiated between the UK and the remaining 27 EU states: the agreement is invaluable in protecting citizens’ rights, our intense security co-operation and trade. It also delivers an implementation period providing time for all future aspects of our relationship to be finalised. The Commons laid down an important caveat to its agreement: it requires significant changes or an alternative mechanism to the Northern Ireland ‘backstop’. The ‘backstop’ is the insurance policy which guarantees an open border on the island of Ireland: an objective that all parties and both communities in Northern Ireland are determined to secure. This objective is clearly set out in the Agreement as is the temporary nature of the ‘backstop’, if it is ever required, as a means to ensure that border is kept open as other solutions, potentially based on evolving technology, are put in place. Not only is the temporary nature of the arrangement clear from the documentation its long term continuation would result in exactly the kind of ‘cherry picking’ that the EU is keen to avoid. The EU and Republic of Ireland are keen to avoid any changes to the agreed text. However there is now a clear route to deliver a UK exit from the EU on an agreed basis with all the advantages that flow from it. Both sides must take up the challenge of securing this critical step: such a resolution is in both our interests.